The CCM-300 is a unique fluorometer that is tuned for the measurement of chlorophyll content in samples that have traditionally been difficult to analyse non-destructively. This compact, hand-held instrument measures the ratio between the chlorophyll fluorescence at 735nm and 700-710nm. This ratio is linearly proportional to chlorophyll concentrations as high as 675mg m-2, with a determination coefficient of higher than r2=0.95. 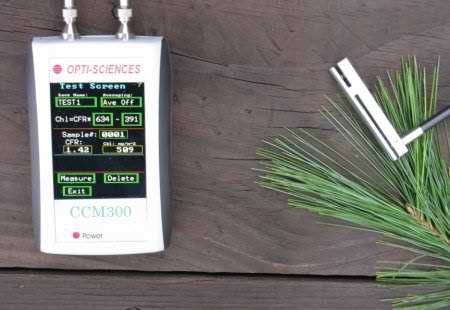 In both laboratory and field tests, the CCM-300 chlorophyll content meter has proved to be highly accurate at measuring chlorophyll concentrations from 41mg m-2 to 675mg m-2. Samples do not need to fill the measuring aperture, so small samples can be measured. Samples do not need to allow transmission of the measuring beam, so thick samples can be measured. 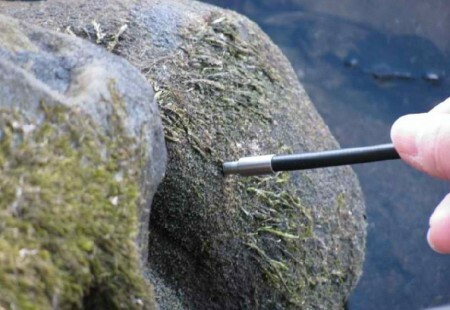 Surfaces do not need to be flat, so difficult plant morphologies can be measured. No Kautsky induction effect, so measurements can be repeated rapidly at the same sight. Small sample area, so naturally occurring structures like mid ribs and veins can be avoided. Higher measuring range (675mg m-2, as opposed to 300mg m-2 with absorption techniques), so many more samples can be measured. 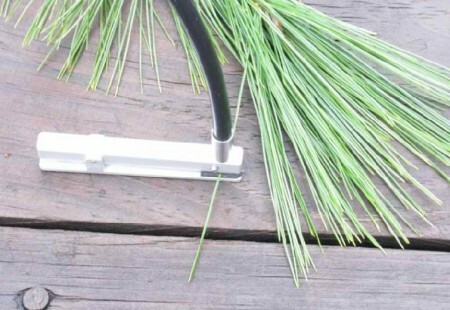 As a result of the above, for the first time, ADC users can now measure conifer needles, turf grass, arabidopsis, immature rice and wheat, moss, bryophytes and lichens, fruit skin, petioles, stems, cactus, agave and algae on rocks.